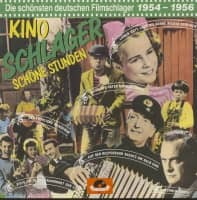 Like Kay Starr sings here in the exciting stereo debut of her #1 hit Rock and Roll Waltz, 'It's old, but it's new!' 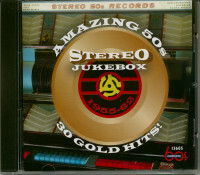 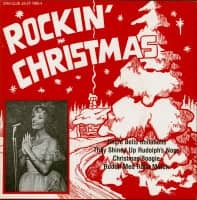 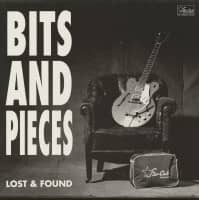 This amazing CD explodes with 30 original smash hits from the 50s and early 60s all in stereo, most for the first time! 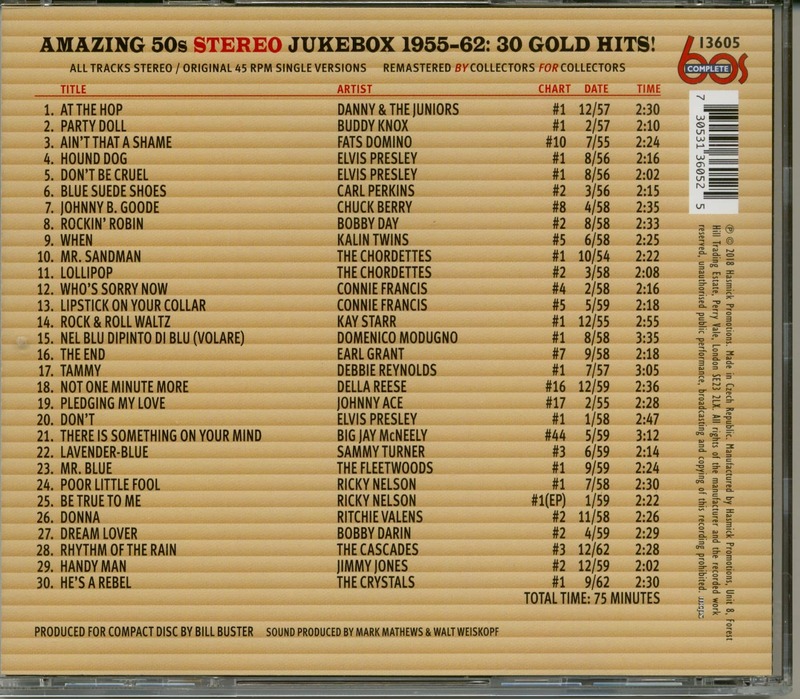 Re-experience #1 hits like At The Hop, Hound Dog, Don't Be Cruel, Mr. Sandman, Poor Little Fool and He's A Rebel in amazing stereo clarity for the first-time. 30 gigantic hits, all in stereo (75 minutes of music) with 25 songs making theirstereo debuts so matter how many collections of Fifties music you own, you've never heard anything like this. 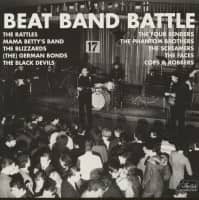 Includes a 12-page booklet with photos and liner notes by Greg Adams. 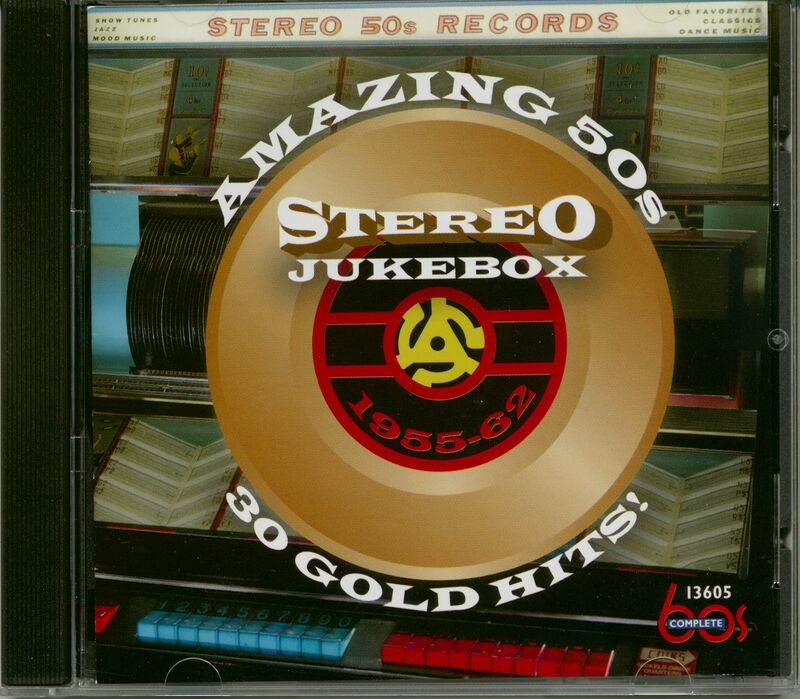 Customer evaluation for "Amazing 50s Stereo Jukebox (CD)"